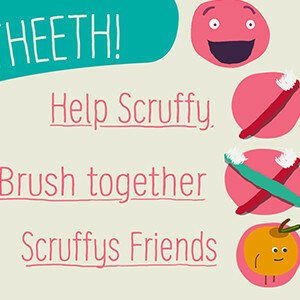 1 mode where you can brush Scruffys teeth. And 2 modes with toothbrush timers! Scruffy has lost a bunch of friends in the foam. Find them all while brushing your teeth! 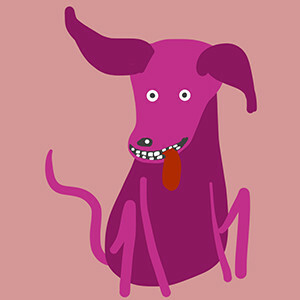 There are nine tooth troll hiding in Scruffys dirty teeth. Brush your kids teeth while all of Scruffys trolls get put to bed. Find em all! Lets your kid play around with Scruffy. Have him eat some stuff and see how dirty his teeth gets. Then brush it away! 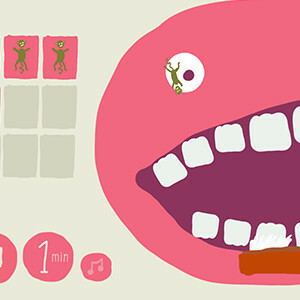 This is a small game with the main goal to make brushing teeth into something fun and exciting. 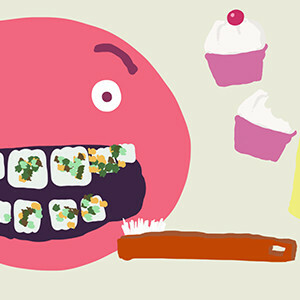 Brush my Teeth is an app for iPhone / iPad and Android, a tooth brush timer, but with a funny twist! Choose if you want to brush for one or two minutes, with or without music. Make sure to remove all nine tooth trolls every time! Get to know Scruffy a little better. Let your child feed him some food and then brush away the dirt and tooth trolls. Meet Scruffys friends! In a new game mode you can brush you kids teeth while the one of Scruffys friends reveals it selfe from the foam. Who will it be tonight? For best results, only pick up the game at brushing time. That way the game becomes a bit exclusive and something for the kid to look forward to. Dentists recommend us to brush our teeth 2 times a day for 2 minutes a time, from the time you get teeth. Pediatricians encourage parents to use a song, counting or something else to make tooth brushing a fun time. This is our little contribution to all parents! Make brushing teeth something a little easier for you and your kid. It doesn't have to be a pain, it can be a fun time together! Brush my Teeth is created by Ola Skuggan Kjellsson at Skuggan.nu and is also available in Swedish under the name Borsta Tänderna. ©Copyright 2015 - Ola Kjellsson - Skuggan.nu. All rights reserved.